Buying a home is a milestone moment in anyone's life, and as a seasoned real estate broker, there’s nothing I love more than helping buyers through the process. Kitsap County, where I live and work, is a special corner of Western Washington — it’s spacious and beautiful, close enough to Seattle for commuters yet affordable enough to feel like a well-kept secret. Our market is hot and not on track to slow down anytime soon. 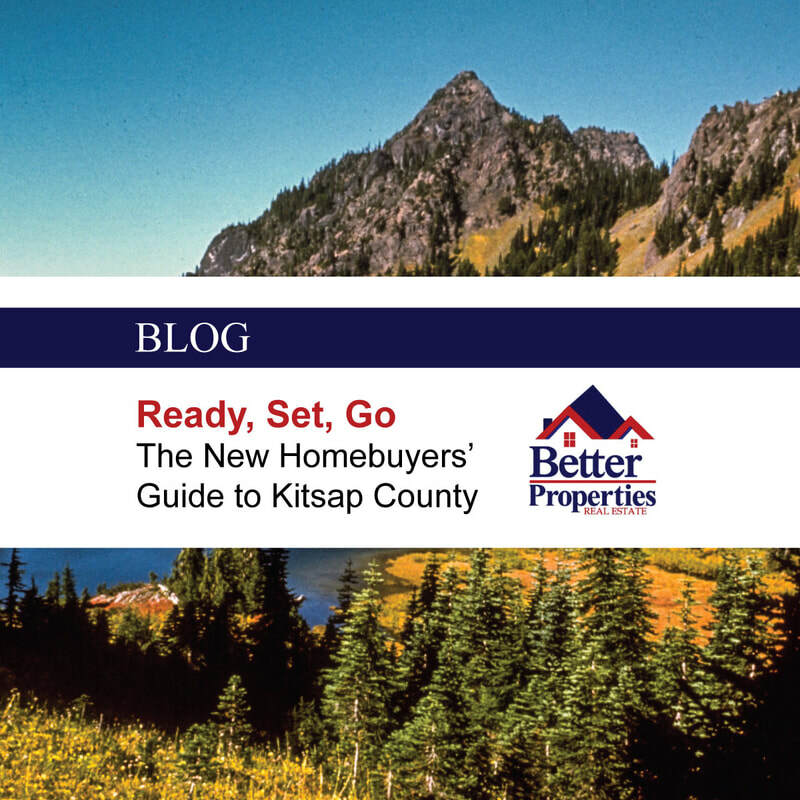 Here are a few things you need to know when you’re getting serious about home buying in Kitsap County. There's no one moment that lets you know you're ready to buy a house — it’s a confluence of factors, a sense of the stars aligning and a gut feeling that you've made that leap and are ready to get serious about your search. Your motivations for considering a purchase might be traditional: you’re looking for a good financial investment or space to start a family, for example. Maybe you’ve realized that you’re paying top dollar for rent and have nothing to call your own at the end of every year. Perhaps you’re looking for a home base that will allow you to spend more time and resources on experiences like travel or entrepreneurship. It might be as simple as desiring more control over your living situation than your landlord or property manager might allow. Whatever your reasons, here’s what you need to do to get set to buy. Sellers may not be prepared to do repairs before selling or cover your closing costs; are you comfortable with that? To expedite the process, make sure your papers are in order: having a pre-approval letter and being underwritten before (or during) the buying process can sometimes make your offer a winner, even at a lower bid. Finally: stack the odds in your favor by working with a local lender – one who is available to talk with the listing agent and help your buyer win the offer. The personal touch goes a long way in a smaller community, and you should have a team of professionals on your side who are there to help you land your dream property. Now comes the fun part: deciding what and where to buy. How you choose to do that will vary based on what you’re looking for, but know that your options are pretty broad. Housing choices range from Craftsman cottages to tract houses to working farms to luxury waterfront property. You could opt to live in booming Bremerton, quaint Port Orchard, or up-and-coming Silverdale. You could move farther west to give yourself access to a world of natural adventure on the Olympic Peninsula. Whatever drives your decision, be sure to take into account whatever is important for you: a faster commute, more land, more convenient access to shopping and entertainment. Once you have your list of non-negotiables and nice-to-haves, you’ll be surprised at how much choice you have in Kitsap County. Have a plan A, B, and C. Remember, you’re looking in a hot market; adaptability is important! If you’re ready to explore your options in Kitsap County, we hope you join us on our upcoming tour for home buyers! We’re offering a tour (complete with a gift bag full of local goodies) around some of the hottest neighborhoods in Bremerton. We’ll pick you right up from the ferry and share with you everything the Kitsap peninsula has to offer. RSVP for the September 16th or the October 14th today! It’s free!